The team at May St Dental Centre welcomes emergency cases. We’ll address any pain that you’re in immediately and provide a rapid solution that restores your oral health. Even if your dental emergency occurs after hours, you can contact our practice and your call will be routed to a dentist. Dental emergencies can happen, day or night. Maybe you’re eating crunchy food and a tooth cracks. Perhaps you wake up and have pain or swelling in the jaw. Call our team and we’ll get you in quickly. If your emergency is life-threatening, you should head to the local emergency department. 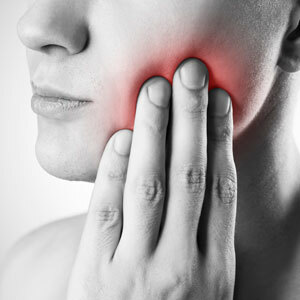 Tooth pain – Often sudden in onset, you may feel there is no obvious cause. You shouldn’t ignore the discomfort, since many serious conditions may be present, such as a cavity, gum disease, an abscess, exposed tooth roots or an impacted tooth. Chipped and fractured teeth – A trauma to the head or mouth or a simple action like biting on a hard object can break or chip a tooth. You may have a cavity that has weakened the tooth and not be aware. If you have the piece of the tooth that broke off, bring it in with you. Lose teeth – Knocked out teeth can happen from an injury though there may occasionally be no apparent reason. Bring the tooth in with you, and as we may be able to replace it if you come in quickly enough. Otherwise, the gap can be addressed by a bridge or dental implant. If the tooth is dirty, rinse in cool water but avoid touching the root area with your fingers or water. Place it back in the socket if possible. If not, put it in a glass of milk. Further emergency dental East Fremantle cases we see are dislodged teeth, objects stuck between teeth, a knocked out crown or filling, an infection and an injury to the palate or gums. The goal of an emergency dental appointment is to address the immediate need, resolve your problem, and relieve your pain. If we believe further care is needed, we will schedule a regular appointment for you to follow up so we can plan appropriate treatment to prevent future problems. We will do our very best to get you in the same day for dental emergencies. It’s very rare that we can’t. If this is not possible, we will schedule an appointment so you can be seen as soon as possible. Are you experiencing a dental emergency? Contact our team straightaway! We’ll make sure you get the care you need. Health funds can be used at our clinic, and payment plans are available if more extensive treatment is required.